The mission for England Prairie Pioneer Club is to preserve the history and heritage of the farming industry, particularly as it relates to England prairie and this general central Minnesota area. Our goal is to share this knowledge with others through activities on our grounds. Our members work together to acquire, maintain and exhibit historical memorabilia at our site, one of the original England Prairie farms. The beautiful 65-acre site projects a friendly atmosphere where social, educational and recreational activities are held though out the year with the highlight being our "Pioneer Days" in August, including the antique tractor pull. England Prairie Pioneer Club is a 501(c)(3) non-profit organization located in Verndale, MN. 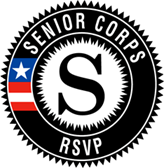 We are an RSVP volunteer site.